We know that we have a shortage of drivers in the commercial sector who have the right qualifications. We also have many men and women from the military looking for work. Giving job opportunities to those military families after leaving the service is beneficial all around. The opportunity to provide military personnel with civilian qualifications can help the economy. This is just one example of how to help military personnel transition back to civilian life by ensuring that they right training and education. 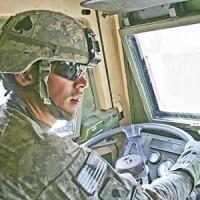 These highly trained individuals are then able to perform their job in the military and also in the civilian workforce. Commercial driving is a difficult job. Often you work long hours, which can cause tiredness. Staying awake and alert on the job is important. Unsafe driving can risk the lives of other individuals who are on the road. Understanding the importance of being alert to the potential dangers on the road and understanding your own presence among traffic is key to preventing hurting another driver or passenger of a vehicle. It is vital that members of moving companies are recognized for their hard work and dedication to the industry. For this reason, there are awards presented by AMSA at the Super Van Operators awards ceremony. Some categories are tough and the drivers have to get through many hurdles before winning. It is vital that drivers receive adequate training in all aspects of commercial driving to ensure that they are safe to be on the roads and highways. This is something the FMCSA takes seriously, and they recently set up the Negotiated Rulemaking Entry-Level Driver Training Advisory Committee to address it. This committee looked at the current requirements and came up with a recommendation of changes to bring the current training up to date. 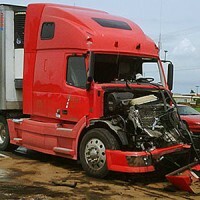 If any vehicle and the driver is involved in a crash, it can greatly affect your moving business. Understanding the data and working out who is to blame for the accident isn’t always easy. 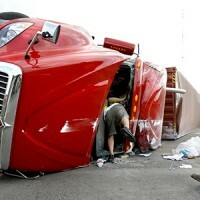 The problem the FMCSA is trying to resolve is reporting on these accidents. They argue that if you can’t agree on a system which is fair and doesn’t harm a business, then this information shouldn’t be available to the general public. It is important that the moving industry demonstrates the professionalism of the industry because this enables the growth and expansion of businesses. However, this is only possible if the company is doing their best to ensure that being professional is a main area that is taught and discussed for training with their sales team.